Lab Design. Modern Heavy-Duty Furniture. Classroom Tables and Cabinets. We design, manufacture, deliver and install custom lab and industrial furniture to fit your exact specifications. The Lab of the Future. Casework, fume-hoods and more for your perfect lab. Every surface has a purpose. Workbenches, adjustables and storage for your industrial space. Custom builds for any space. We may be local to Austin, Texas but our quality work can be found in spaces all around the country. Our team travels to you to make sure that we understand your needs, get the right measurements and install the final product on time. Along with guaranteed delivery and installation times up front, we provide quotes the same day and, on average, only need three days for drawings. That means you can get your operation up and running as soon as possible. When you customize options from a catalog, it costs you more time and energy in the long run. We’re professionals who deliver custom solutions and we start with the best pricing, right away. Not all equipment is created equal. Our materials are rigorously tested and certified by the Scientific Equipment & Furniture Association. OnePointe provides solutions that always meet the standard – our standard – of unmatched quality. Success by design is our hallmark. We’re called OnePointe Solutions because we manufacture, design and install the best solutions for diverse, specialized environments. As professional lab consultants, and the country’s leading provider of lab furniture and custom workbenches, we provide mission-critical products and services to some of the best practitioners and innovators in medicine, science and industry. 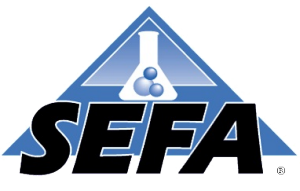 Whether you’re creating someone’s perfect smile, or percolating trends in coffee, fragrances or eyewear, our laboratory layouts are designed to maximize your investment through efficient use of space, durability, safety, and SEFA compliance. From electronic components to environmental engineering; university labs, blood labs and stem cell labs, we help plan for your future success when considering your design. Whenever possible, we ensure that you can expand your mission without rebuilding it from scratch. Planning for success means designing for it. Whether you require a new build, or a laboratory renovation, our lab builders will be there on time, anywhere in the U.S., to perfectly implement your custom design so that your work starts on time.